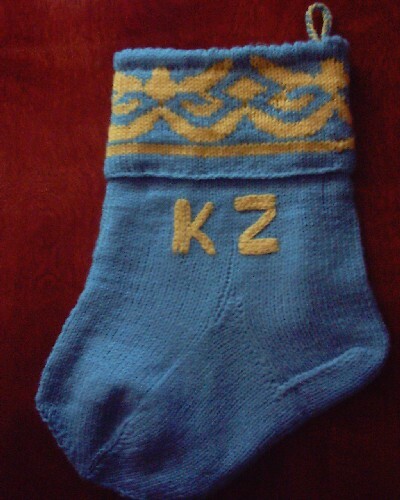 A handmade Christmas stocking fashioned after the Kazakh Flag. This is made by one of Elena',s good friends, Tanya. Choose to personalize this by adding a name in Kazakh or English. If you choose this option, please specify the name and Kazakh or English in the notes section of your order. Please try to allow additional time since Tanya will make these to order.